Sure, high-fat foods are filling and delicious - but studies have proven that high-fat diets feed heart disease! According to a preliminary study presented at American Heart Association's Arteriosclerosis, Thrombosis and Vascular Biology Peripheral Vascular Disease 2017 Scientific Sessions, there's a spice that may help lessen the risk of cardiovascular damage of a high-fat diet: Cinnamon! Read on to learn how cinnamon may protect your ticker from the damaging effects of eating a high-fat diet. For their study, researchers placed rats on a high-fat diet. They then divided them into two groups. One group took cinnamon supplements for 12 weeks, whereas the other didn’t. Researchers discovered that the rats who they fed cinnamon supplements had less belly fat, weighed less, had healthier blood sugar levels, and had less insulin and fat in their blood compared to the rats who didn’t receive cinnamon supplements in addition to their high-fat foods. Furthermore, researchers found that the rats who took cinnamon supplements had fewer molecules involved in their body’s fat-storing process as well as more antioxidant and anti-inflammatory molecules that protect the body from the damaging effects of stress. Researchers concluded that their findings suggest that taking a cinnamon supplement may reduce the effects of a high-fat diet, one of which is cardiovascular damage. By preventing cardiovascular damage, you can cut your risk of serious health problems, including heart disease and stroke. Other factors that may damage your heart include smoking, tobacco exposure, high blood pressure, high cholesterol, obesity, physical inactivity, type 2 diabetes and harmful use of alcohol. If you decide to take a cinnamon supplement to protect your heart from damage, make sure you keep these other risk factors in mind as they can influence how effective cinnamon is at preventing damage. 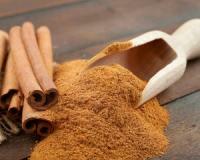 A variety of cinnamon supplements are available at most pharmacies and health food stores. A noisy workplace could lead to heart attack or stroke!